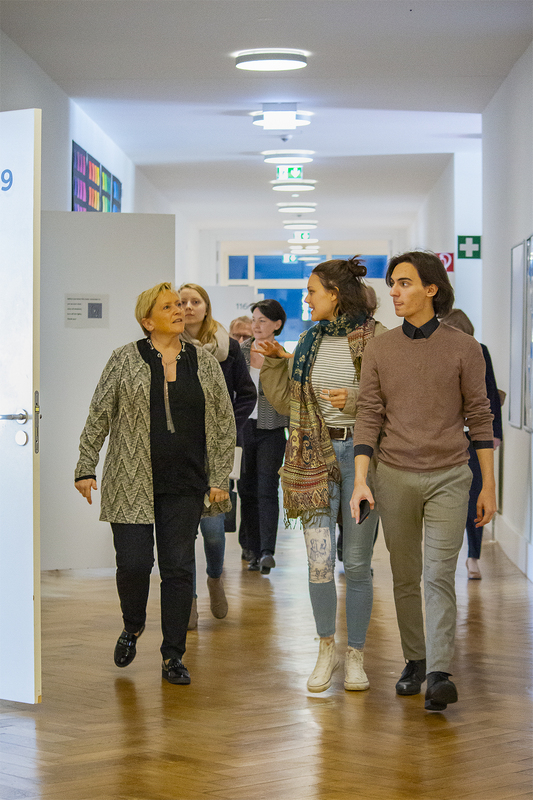 On Thursday March 21 2019, Minister of Education and Cultural Affairs Susanne Eisenmann (CDU) visited UWC Robert Bosch College for the first time. During her visit, she caught a glimpse of the ideas behind the United World Colleges, as well as of life on campus. Sarah and Eray, two students, gave the Minister a tour over campus, showing her the student houses and taking her to the school’s Auditorium, where Ms. Eisenmann was greeted by all 200 students of the College, as well as staff and principal Laurence Nodder. The occasion for the visit arose after the provincial government’s agreement on the funding of private schools; UWC Robert Bosch College is one of the profiters of this agreement. The College grants 140 full scholarships to young adults from over 100 different countries who come to Freiburg for two years to gain their IB (International Baccalaureate) Diploma. The scholarships are partly financed with the help of the Land Baden-Württemberg, as well as multiple patrons and donors.